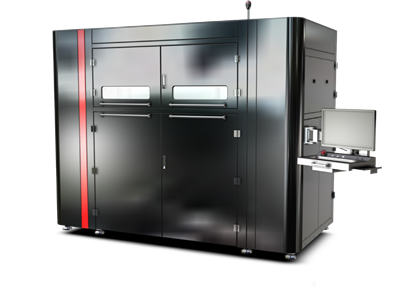 The ProMaker P4000 SD is designed to provide industrial production capabilities for functional prototypes and rapid manufacturing. It offers the largest effective build platforms in its category, high precision, accuracy and the best-in-class thermal stability to deliver sharp, crisp details and optimized mechanical properties. ProMaker P4000 SD HIGH PERFORMANCE AND PRECISION WITH THE BEST THERMAL STABILITY The ProMaker P4000 SD is designed to provide industrial production capabilities for functional prototypes and rapid manufacturing. It offers the largest effective build platforms in its category, high precision, accuracy and the best-in-class thermal stability to deliver sharp, crisp details and optimized mechanical properties.